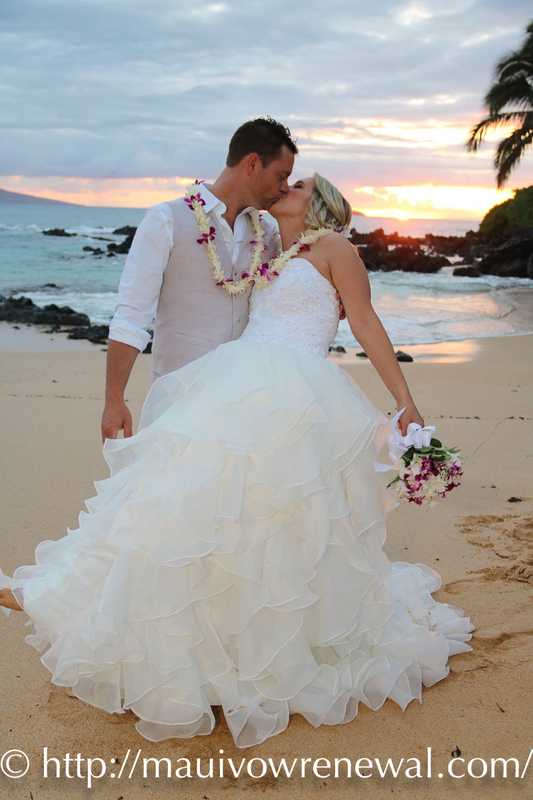 Who does the best Maui Wedding Vow Renewal videos, someone who is affordable, or even cheap? 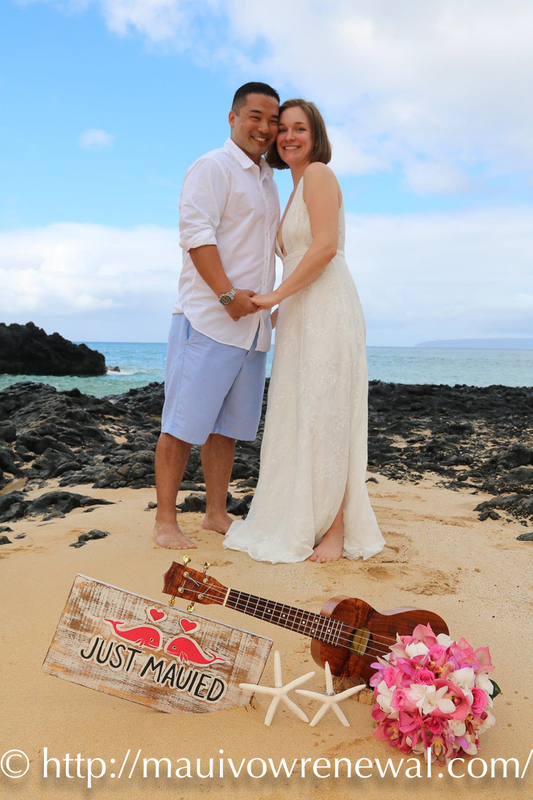 All Maui beach wedding videos include a wireless mic and a professional HD camera. “My husband I and were on the fence about adding extras on like the edited video, but hands down, it’s priceless. “We can’t stop watching our video montage, it just takes the memory to another level. I can’t imagine not having done that part, it would be so tragic to not have it on video. People assume that they can purchase just the video (un-edited) and do some editing themselves, but it’s not going to look anything like the editing that Brian did! 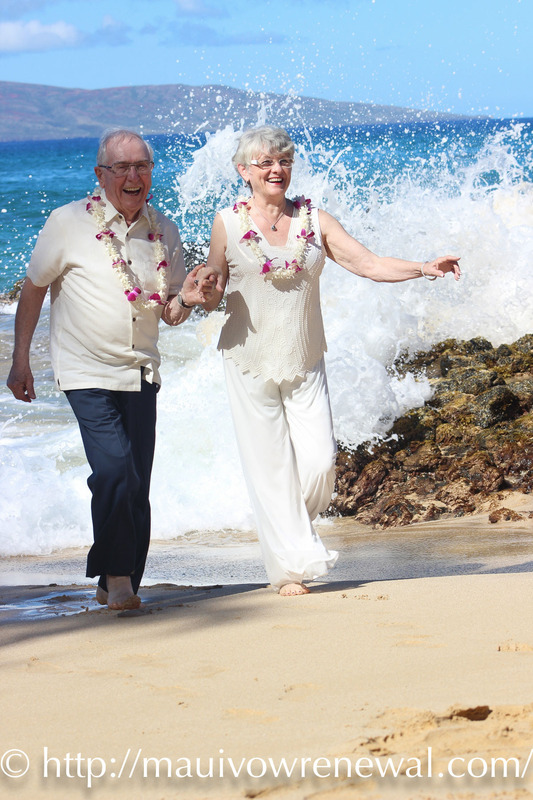 Your Maui Vow Renewal movie will be a beautiful heirloom for you to share with your family and friends and on your anniversary. Comprehensive: video of your ceremony and a romantic “love story” highlight segment filmed along the beach, with your choice in background music! Video file available within 48 hours as a downloadable file from your own personal webpage. Save the file to your personal computer, and share the webpage link with family and friends so they can see your wedding! 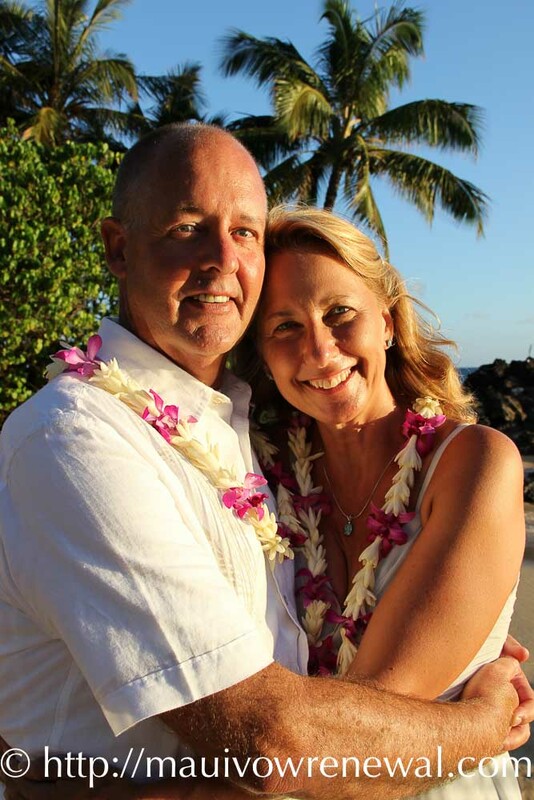 Entertain your wedding guests with a 12 to 20 minute video program featuring your personal love story. 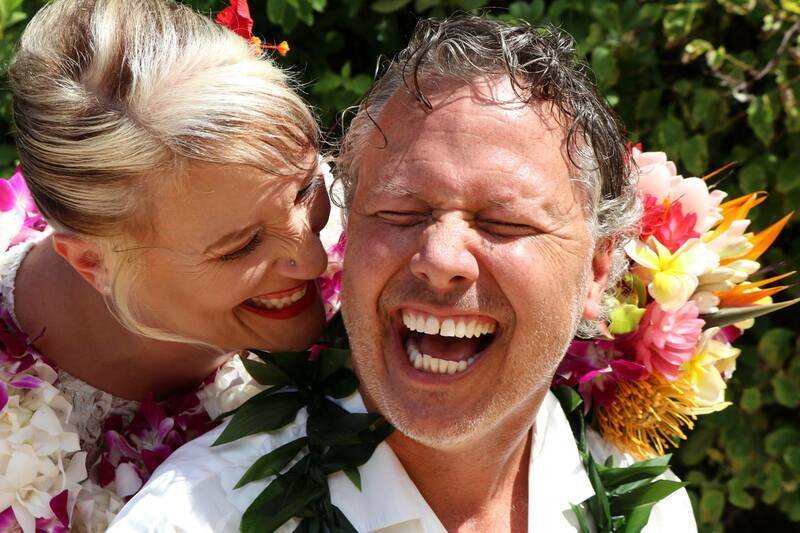 This delightful program is done prior to your wedding day in Maui, and includes live interviews (how you met, how you fell in love, the proposal, and special thank you from the bride and groom to your parents) and includes two hours of on-location videotaping, and up to 35 growing up and dating photographs. The short form style, the video that condenses the entire days proceedings down to a 15 minute highlight video. The short form is edited the same day and emphasizes those special moments, which are the signature of the wedding day. We can use your favorite songs for a romantic background of this love story. The short form might be said to be poetic, while the long form is epic. 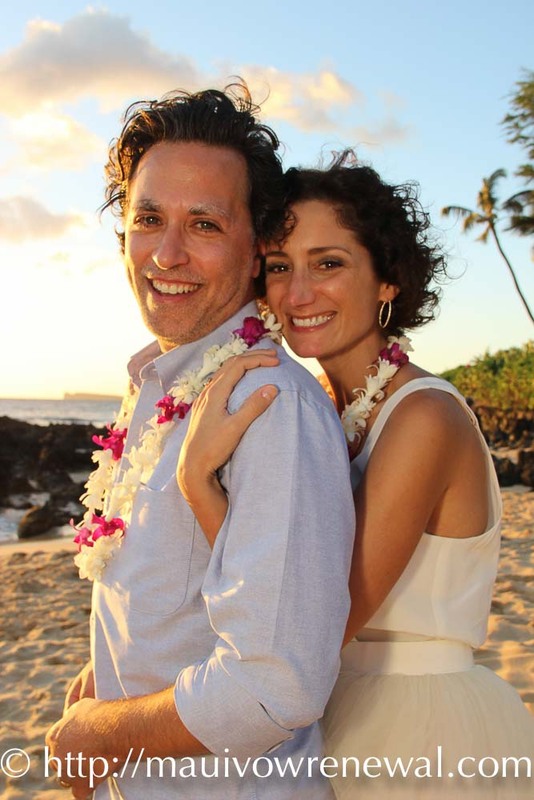 Brides frequently tell us that they love showing their family and friends their beautiful Maui wedding, and that their video also keeps their wonderful, unforgettable day fresh in their memories.